On January 24th Arizona Diamondbacks General Manager Kevin Towers traded 25 Year Old superstar outfielder Justin Upton along with teammate Chris Johnson to the Atlanta Braves for fan favorite third baseman Martin Prado, pitcher Randall Delgado, along with prospects shortstop Nick Ahmed, Pitcher Zeke Spruill, and third baseman Brandon Drury. From the time of the trade Towers was hammered by the media for giving up on a young superstar with a club friendly contract. 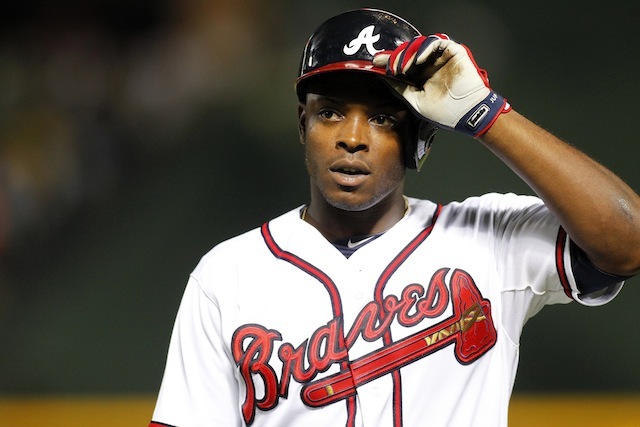 As the season started things only got worse for the Diamondbacks GM, as Justin Upton set the baseball world on fire in April as he slugged 12 home runs, and had the Braves on top of the Nation League East. While out in the Desert Martin Prado was slumping badly for the Diamondbacks, as was pitcher Randall Delgado who was sent to AAA after spring training and had an ERA around 9.00. Since the month of April, the Justin Upton trade still looks one sided, but now in the Diamondbacks favor. After an incredible April Justin Upton went on a cold streak that has now spread from May through the end of July, and Upton is showing no signs of heating up. While Martin Prado has started to heat up and show Diamondbacks fans why he was such a fan favorite for Braves fans. Following injuries to pitchers Brandon McCarthy, and Trevor Cahill the Diamondbacks promoted Randall Delgado and inserted him into the starting rotation. Since that time Delgado has pitched to the tune of a 2.85 ERA in 8 Starts, with an impressive 38/10 strikeout to walk ratio, and appears to be showing what once made him a top 50 prospect in all of baseball when he was with Atlanta. Pitcher Zeke Spruill was also impressive in his short MLB stint as a reliever compiling a 2.08 ERA with 5 strikeouts, in 4 1/3 innings. Down in AA Mobile shortstop Nick Ahmed got off to a rough start in April/May at the plate, but since June, Ahmed has been sensational batting close to .300 in June/July. Some scouts feel that Ahmed already plays better defense than current Diamondbacks defensive wizard Didi Gregorius, which if you’ve seen Didi play defense that is some serious praise. The most intriguing player of the entire trade may very well be 20 year old third base prospect Brandon Drury. In the Low A Midwest League Drury has been nothing short of amazing with a slash line of .321/.366/.532 with 41 Doubles, 4 Triples, 12 Home runs, and 71 RBI with a very respectable 27/63 walk/strikeout rate. While we don’t yet know who won this trade, we probably won’t even know that for 10-15 years from now. However right now Diamondbacks fans have got too really like what they see in the players acquired in the Upton trade. Today’s article was prepared by Codey Harrison, MiLB Prospects Analyst. We would like your feedback, so please feel free to comment on the article below, and share in discussion with our readers. Please e-mail us at: behindhomeplatebaseball@gmail.com with any questions and feedback. You can follow us on Twitter, and “Like” us on Facebook. You can subscribe to our website and have the daily Reports sent directly to your inbox.